Pruning the organization, Big Red Car? Huh? Big Red Car here on a gray day in the ATX. Just let that haze burn off, y’all. Today, we talk to and about CEOs/founders/entrepreneurs who have spent a couple of years building an organization, have some revenue, and about 1-400 employees. You know who I’m talking to, don’t you? You are not quite happy with everything, but you have customers, revenue, a viable product, and you’re building your company. Now, it’s time to do some pruning. Pruning the organization. 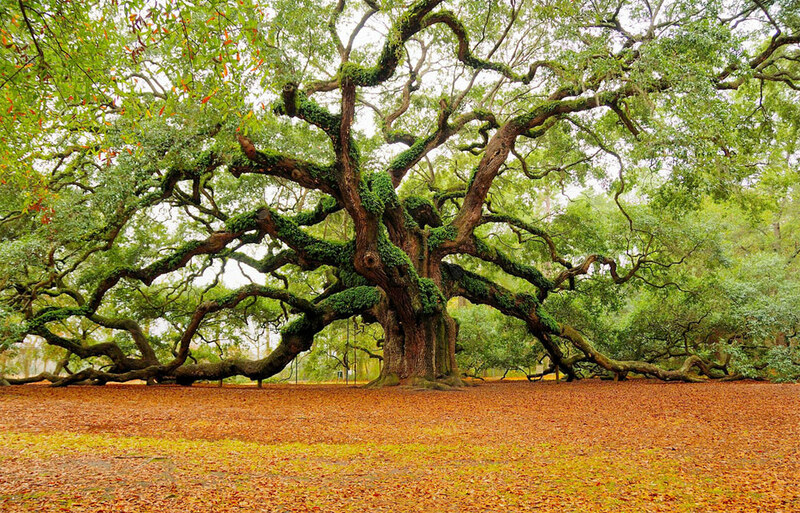 Even the Angel Oak outside Charleston could use some pruning? Don’t you dare touch this tree. There is a debate as to its age. Some say it is 500 years old. Some say it is 1500 years old. It was there before the American Revolution. Pruning the organization, Big Red Car, how? OK, dear reader, here is what you should consider doing. 1. Call in your managers. In a company of about 200 employees, you likely have about 10-15 managers. Sound right? 3. Ask them to rank order their people from top to bottom. So, if each has a dozen subordinates, you end up with a list which is rank ordered from 1 to 13 (Baker’s Dozen, y’all). 4. Now the hard part starts – can you live without one person from each list of subordinates? Two? Three? Ouch. That would be a very slight pruning, wouldn’t it? How do we decide, Big Red Car? You decide, dear CEO, by seeing who is accomplishing their Objectives on that Vision, Mission, Strategy, Tactics, OBJECTIVES continuum. Of course, you are assigning SMART objectives to each of your folks, right? Right? 1. Who is missing on objective accomplishment? 2. Who is consuming more energy than they are generating? 3. Who is creating that negative buzz which steals the energy from the organization? 4. Who will you not miss? OK, it may take a little time, but you know who these people are. Make the list. Check it twice. Don’t be afraid to make the list a little deeper in certain areas. Yes, good question. This is also a time to take a look at your org chart and see if there are some spindly limbs which can be consolidated into a single discipline or department. It is always more financially efficient to prune at the top of the tree. What can be consolidated with an eye toward efficiency? Every company of this size has some overlap and duplicated effort. Find yours. What happens, Big Red Car? 1. You will end up doing the exact same amount of work post-pruning as pre-pruning. Believe me. This is the voice of experience talking here. Of course, you will be saving money doing it. 2. You will not miss the folks who are gone after two days. 3. Your organization will be energized because your people knew who was working and who was not. 1. Keep it under wraps until you are ready to act. Talk it through with your Board before you do it. 2. Think through how you want to do this — I prefer a simple “not for cause” termination with a severance package commensurate with the period of employment. If you can afford to pay two months, do it. Be generous with letters of recommendation. Have everything ready to go day one. 4. Do it face-to-face. No emails, text messages, voice mail. The managers should do it. Make them write out a script and stay on script. 5. The second you have done it, reassure the balance of the company they are in the safe zone. Talk it through. Don’t leave until every question is answered and the last dog has died. The people staying are way more important than the people leaving. And, there you have it. How a CEO deals with pruning the organization, a normal part of growing a powerful organization. Sometimes, normal can be hard. But, hey, what the Hell do I really know anyway? I’m just a Big Red Car. Be good to yourself. You deserve it. If you need help, contact me. I can help you. This entry was posted in CEO, CEO coaching and tagged pruning the organization. Bookmark the permalink.